French-breds continue to prosper in the jumps sphere and mares booked to the stallion squad at Haras de Cercy, a leading source of such horses across the English Channel, could result in more stars. 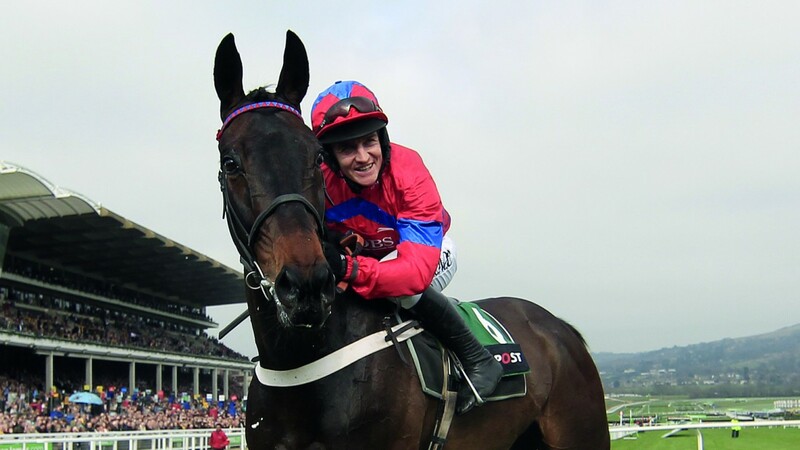 The most famous mare in the Cercy band is Fatima, the dam of the recently retired nine-time Grade 1 winner Sprinter Sacre. Fatima is in foal to the ill-fated Cercy stallion Saddler Maker, sire of Alpha Des Obeaux, Apple's Jade and Bristol De Mai, and will visit the stud's new recruit Free Port Lux, a son of Oasis Dream. Fatima is not the only queen to visit Free Port Lux; so will Regina Conti, the dam of the recent Willie Mullins-trained impressive maiden hurdle winner Chateau Conti who holds entries for both the Supreme Novices' Hurdle and the Neptune Novices' Hurdle at Cheltenham in March. Regina Conti is a close relative to dual King George VI Chase winner Silviniaco Conti. Full-sisters to both Sir Des Champs and Vaniteux are also set to visit the stallion. Standing his first season alongside Free Port Lux is Karaktar, who also has a star-studded line of mares awaiting him this season. Leading the bunch is Naiade Mag, the dam of another of Mullins' stable stars, multiple Grade 1 scorer Vroum Vroum Mag, who has six possible Grade 1 entries for the Cheltenham Festival, being shortest priced 5-1 for the Stayers Hurdle. Naiade Mag has a Gris De Gris yearling filly on the ground and is barren in 2017. Joliette D'Alene (dam of Hennessy Gold Cup hero Triolo D'Alene) and Patte De Velour (dam of recent Tolworth Novices' Hurdle runner-up Capitaine) will also visit Karaktar this season. Both are in foal to Coastal Path. Coastal Path is a half-brother to Martaline and Reefscape and enjoyed his best season in 2016 with promising hurdlers Bosseur, Bello Conti, Bacardys and Coastal Tiep. His influence is set to continue as he is due to cover Apple's Forever, the dam of Gigginstown Stud young gun Apple's Jade. Cokoriko's first crop turned two at the turn of the year and judging by the mares on his book for 2017 he has been impressing breeders so far. One of the mares booked to him this year is Courtisane, who is in foal to Saddler Maker, is a half-sister to Naiade Mage and the Grade 1 winner Saint Are. Grade 1 winners seem to be the common factor in Cokoriko's book as Quiet Story, a half-sister to Grade 1 winners Punchestowns ( Long Walk Hurdle) and Buveur D'Air (Top Novices' Hurdle), will visit the stallion after she has her 2017 foal by Saddler Maker. Other well-bred mares to be covered by Cokoriko are Gazelle De La Vega (a close relation to Vautour) and Rougedespoir (the dam of Un Temps Pour Tout). Multiple Graded winner Rubi Light is also represented as his half-sister, Or Light who has a Rail Link yearling will visit Gris de Gris for the second consecutive year. It is difficult to ignore the quality of mares covered by the late Saddler Maker in his last season before he died last summer. We could be yet to see the best of his progeny on the track and in the sales ring; considering his earlier success came from worse chances, there could be fireworks.